The most universal and easy to use shift light available. Our new compact digital shift light can be installed on every­thing from 1-cylinder points-triggered engines to modular Ford engines with coil-on-plug technology. 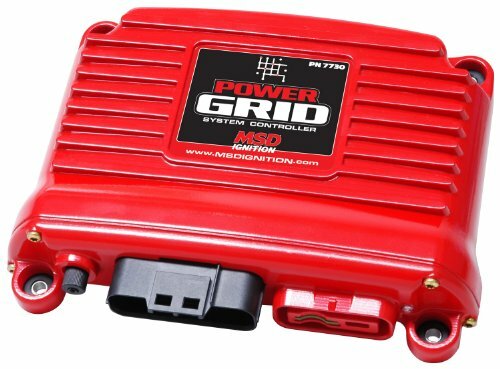 The tiny digital controller inside the compact housing gives you the ability to program the RPM activation points through the easy-to-view LED panel and two programming buttons. When the engine reaches the activation RPM, the six red LEDs illuminate brightly to alert your senses into throwing the shifter at the exact RPM. 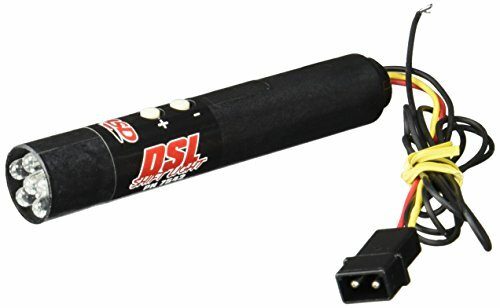 The DSL can be installed on single cylinder engines up through 12-cylinders on stock ignitions or high-powered aftermarket systems. The MSD shift light will turn on to remind you to shift when the engine reaches your specified RPM. 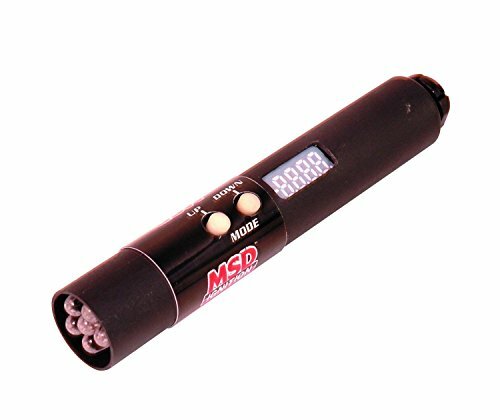 You select the RPM using the same plug-in modules that are used with your MSD soft touch rev control. The shift light features a bright cluster of LEDs making it easily visible, even in bright daylight. The light will also turn on for a second or two when the ignition switch is first turned on to inform you that the light is functioning properly. The shift light will work on 2, 4, 6 or 8-cylinder engines and will plug directly into the tach output on MSD 6, SCI, 7, 8 and 10 series ignitions or can be connected to the negative coil terminal when used with points or inductive-type ignitions. 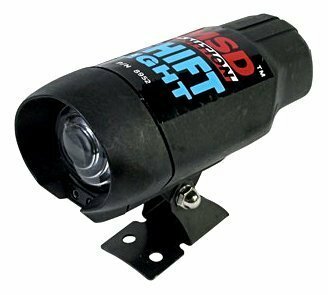 The MSD shift light is 4.5 In. L x 3.5 In. height with a 1.5 In. diameter lens. 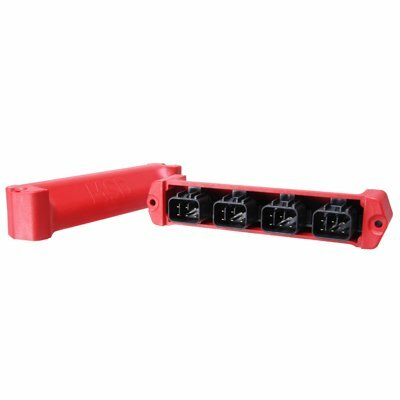 No RPM modules are supplied. 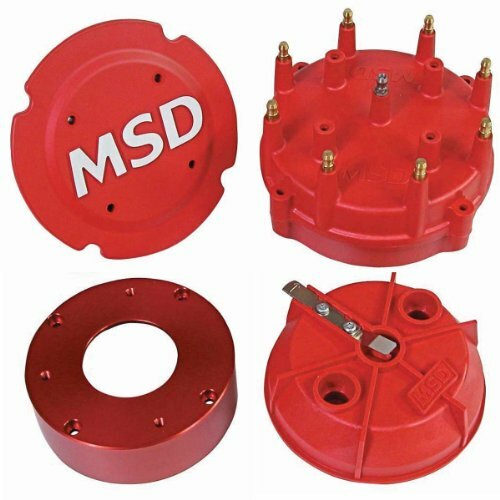 MSD Ignition 7542 SHIFT LIGHT DSL - ADJ..
Just think of the things you can easily accomplish with our GMR pickup. 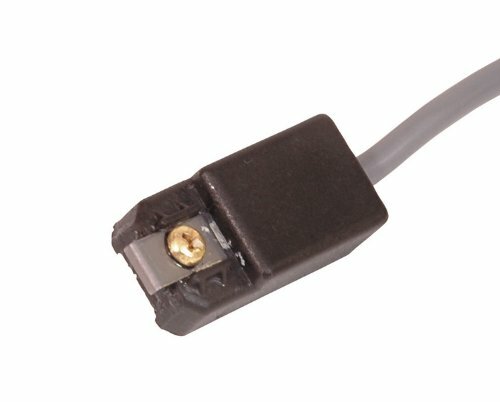 This little device simply attaches, with no splicing or cutting, to a current carrying wire and turns that information into a 12 Volt RPM signal. This signal can be used to activate a shift light, RPM activation switch or a tachometer. One example is to connect the GMR, which stands for giant Electro-Magnetic, to a diesel injector current wire. This will produce a signal that can be used to trigger a tachometer or shift light. Another example is on late-model engine equipped with a coil-on-plug ignition system. One of the coil's primary current wires is simply routed into the pickup clip and GMR converts this pulsing into a 12 Volt signal for a shift light. USB Connection For Ease Of Programming. Timing Based On Engine RPM And Gear Value. Advanced Individual Cylinder Timing. Five Retard Stages For Nitrous. Four Steps Of RPM Limits. Output Switch Set On RPM/Pressure/Time. Shift Light Settings For Each Gear. Ignition Data Acquisition Accepts Multiple Runs. Want more Msd Shift Light similar ideas? Try to explore these searches: Fisherman Towel, Drill Bit Letter, and Stock Clearance Ltd.